After some wicked cold frosts in the week and the river back to being very low and clear, it was always going to be difficult for the penultimate V.E.S. Precision match. Going into this match I was lying in joint fourth place with ten points, three off the lead and nothing but a section win would do if I was to stand any chance of a top three finish and a really good draw would be essential. I woke up and it was actually not too bad temperature wise and I didn’t even need to defrost the car, I met a few of the others at the Little Chef for breakfast before heading to the river to do the draw. 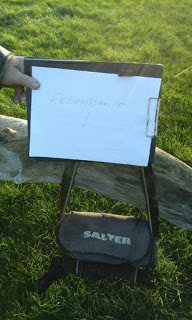 Rob had pegged Redbridge, Isle Brewers and Hambridge today and on most of the pegs had given people a choice which I think is a great idea when there’s a good chance of it being hard going. As people started delving into the bucket, there was the usual mixture of happy and sad faces as people looked at their peg numbers. 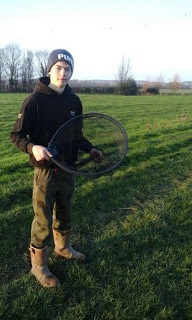 With only a couple of balls left, I went for it and pulled out H4 above the road at Hambridge, a decent draw and one that should see me get a few bites although after winning several matches on the trot, it had gone off the boil somewhat in recent weeks. It was also a golden peg today so would be worth a nice bonus if I could win off it. Elsewhere, Karl had 106 at Redbridge, Rich S had 108 or 109 and Baz had drawn peg 112, the swim above the wires that looked lovely and was in for the first time today. At Isle Brewers, Adie had drawn 123 or 124, Stuart had 124a or 125 with Steve P on 128 and Rob on 129. 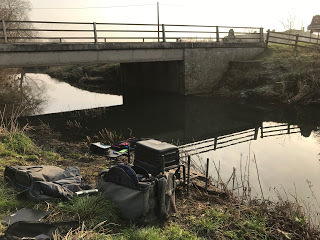 I got to Hambridge and unloaded my kit and had a quick look at H5 (which I also had the choice of) but as Adie had struggled on it last week, I decided on H4 which also meant I could see how Fieldy was doing on peg H1 below the bridge. The river was really low and clear with hardly any pace on it and as I was setting up I never saw a single fish top which was a tad worrying. Rigs for today were a 0.6 gram DH16 for down the middle and a little Drennan 0.2 gram AS1 for fishing three sections to hand, both had size 18 B611’s to 0.10mm. On the side tray I had the usual maggots, casters and Bait-Tech Super Seed Hemp. I started off trying to catch to hand with two red maggots on the hook, but after running the rig through a few times, it just wasn’t happening. Next I tried down the middle where it was a similar story and already the signs were there that it was going to be rock hard today. I hadn’t seen Fieldy catch yet either so in a bid to just try and put something in the net, I put a single maggot on the long line rig and shipped out to 11.5 metres and swung the rig under the bridge, I’d just picked the catapult up to feed when the float went under and my first fish was a miniscule roach but I had saved the blank at least. A few more small roach and dace followed and I was getting regular bites but most of the fish were tiny. 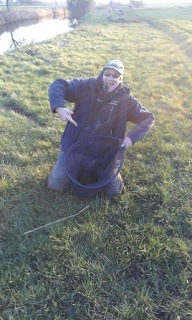 Big Frank turned up to see how we were getting on and I had a couple of small fish while he was there, then he walked across the road and asked Fieldy who said he hadn’t had a bite yet before he left us too it. I had a couple of slightly better 2-3oz roach but the majority were tiny so I tried caster but had to wait ages for a bite, which of course I missed. After about an hour I had another go down the middle with the other rig but didn’t have a touch there. Back on the long line rig and I started getting the odd fish on caster but it was slow going, I was also having to chase them around a bit, I’d get a couple of fish right across by the bridge and then the next one would come by the stick ups mid channel. The sun came out and it was actually turning into a lovely day, I thought perhaps sport might improve as it warmed up but if anything my bites started to tail off. 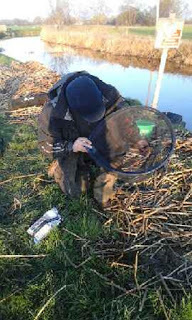 A chap turned up on the bridge and asked how I was doing and during the day, I had four people in total lean over the bridge which probably didn’t do me any favours but they were all nice enough and I was still putting odd fish in the net. 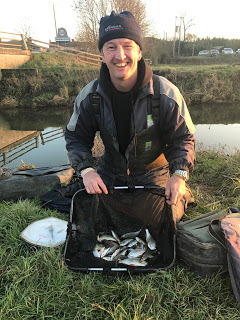 After four hours, Fieldy walked up and asked how I was doing, I told him I had 30 odd fish but only had about a pound and a half, he said he hadn’t had a bite yet! Odd fish had been topping down under the bridge, including a good fish which I think might have been a pike having a go at something, then with fifteen minutes to go, something which looked very otter like went in the water below the bridge and swam up on the opposite side of the river before climbing out on the far side and I’m sure it gave me a wink before disappearing again. My last fish was a bleak which I had just before the end, my clicker was reading 48 but I didn’t think they even averaged an ounce apiece! I had 2lb 11oz which was good enough for third place! I picked up £20 for third place but couldn’t help feeling it was a very good opportunity missed today, I’d missed/bumped quite a few fish and with the benefit of hindsight, if I’d have fished single maggot all day I think 4lb would have been on the cards although I’d never have thought such a low weight would win today. We desperately need some rain and warmer temperatures before next week or another tough match could be on the cards.